Everyone tells you how relaxing jigsaw puzzles are. But are they really? I spent a week puzzling, trying to find out. 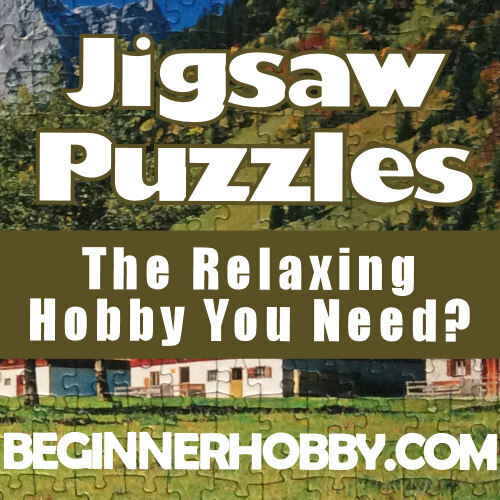 Jigsaw Puzzles: A Relaxing Hobby Idea? I visited my local charity shop to purchase a puzzle. There were quite a few to choose from and I picked a scenic, 1000 piece, jigsaw puzzle. Later that night I cleared some space and sat down with my puzzle. I put some music on, and prepared to be relaxed. 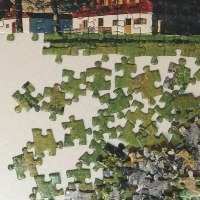 The first thing you need to know about jigsaw puzzles is, you need a strategy. You can't just try to find two pieces that match and force them together. It would take for-ever. Now you're as smart as me. A Calming Hobby Or Not? This is a story of two tales. The first time I sat down to do the puzzle I did find it calming. I put on some music and sang along as I searched for pieces. On that occasion it was easy to drift away into my own little chilled-out zone. Time became irrelevant, my stress levels reduced and I felt disconnected from my normal daily activities. The next set of puzzling days weren't as zen. Instead of calm, I felt a pressure to get it done. And not for this post. It just felt like I had better things to do. The puzzle had become a frustrating task that needed to be done as soon as possible. Which of course, made it harder to find the next piece. My chilled-out zen zone had become a twitch inducing hassle. It took me 5 days to complete my 1000 piece puzzle. I would have returned it, but have other plans. I'm going to use the pieces to make some crafty DIY decorations. I won't be doing another jigsaw puzzle anytime soon. It turned into a complete irritation. Maybe you need a certain type of personality for this hobby.